Are you thinking to Immigrate to a European country? Bulgaria is one of the oldest states in Europe. Situated in the southeastern part of Europe, it is one of the latest additions to the European Union. In recent years, Bulgaria has undergone tremendous changes; the country has transformed from a poor, undeveloped communistic state to a democratic nation that has integrated well into the EU. This picturesque country is located in southeastern Europe, in the northeastern part of the Balkan Peninsula. It shares borders with Turkey and Greece to the south, Serbia and Macedonia to the west, Romania to the north, and the Black Sea to the east. Bulgaria has a population of nearly eight million people. Its capital city is Sofia, which is located in the western region, was born 7,000 years ago in the green embrace of the Vitosha Mountains. Today, Sofia is among the world’s up-and-coming greatest cities, according to a ranking by Forbes magazine. In recent years, Bulgaria has enjoyed a period of sustained economic growth and political stability. As a result, the country joined the World Trade Organization (WATO) in 1996, the North Atlantic Treaty Organization (NATO) in 2004, and the European Union (EU) in 2007. Politically stable, with a strong banking system, Bulgaria is becoming an increasingly popular location for outsourcing. Giants such as Boeing, BMW, General Motors, Siemens, and Nortel contract small programming firms in Bulgaria. Bulgaria’s relatively cheap and qualified labor force, low taxes, and inexpensive office rental prices are among the many benefits investors will find in Bulgaria. 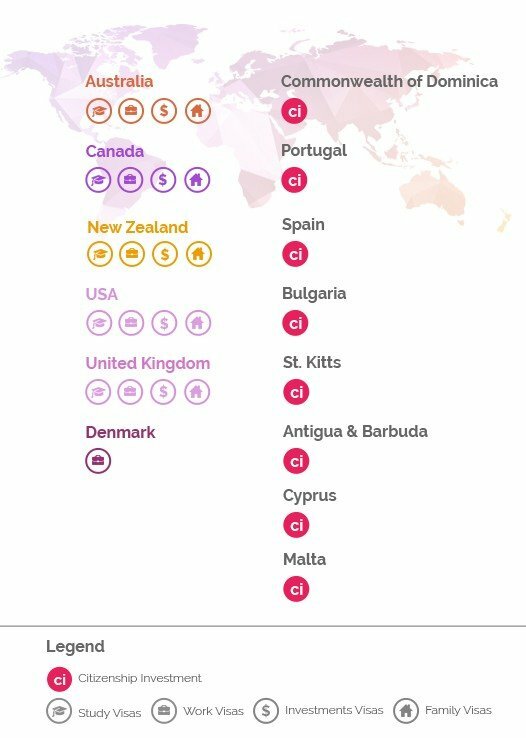 Recently, Bulgaria was considered to be one of the world’s top property hotspots. According to Knight Frank Global House Price Index Q1 2008, Bulgaria again topped the index as the country with the greatest annualized price growth (31.5%). Despite signs that the property market in same areas is approaching the saturation point, residential property prices in Bulgaria continue to rise. Sofia, the Bulgarian capital, offers excellent investment potential and, according to the Ernst & Young report for 2008, investor confidence in Bulgaria is set to continue well. · Implement regional investment projects to make maximum use of Bulgaria’s unique geo-strategic location. In 2002, Bulgarian Parliament approved the Energy Strategy of the Republic of Bulgaria, declaring as its priority the development of a competitive energy market. In the beginning of 2008, the Government of Bulgaria and representatives of Russia signed a general framework agreement in support of the South Stream project for transit of natural gas from Russia to Southeast Europe and Italy. Another natural gas transport project – Nabucco – is planned to pass through the territory of Bulgaria. The Nabucco project envisages transit of natural gas from the Caspian Sea and the Middle East to Central and Western Europe. Financing stabilization and modernization of the state-owned railway transportation and railway infrastructure companies. Liberalization and modernization measures were undertaken for the communications and high technologies sector. Mobile penetration in the country rose rapidly over the last few years and was estimated at 117.4% as of September 2007, which is the second best heist in Eastern Europe, following the Czech Republic’s 123%. According to the European Information Technology Observatory (EITO), the IT market in Bulgaria is growing at a two-digit rate and will continue to increase at an average of 12.4% per year. Bulgaria is currently considered to be one of the world’s best property hotspots. According to the Knight Frank Global House Price Index Q1 2008, Bulgaria had the greatest annualized price growth of , at 31.5%. Despite signs that the property market in same areas is approaching saturation point, residential property prices continue to rise in Bulgaria. Sofia, the Bulgarian capital, offers excellent investment potential and, according to Ernst & Young’s report for 2008, investor confidence in Bulgaria is set to continue well into 2009. Bulgaria has the lowest prices of services and real estate of any country in the EU; it also has the potential to increase until it reaches the levels of other EU countries. Bulgaria is a politically stable state, with a strong banking system that can withstand significant financial or economical setbacks. Sofia provides opportunities for high return strategic investments. According to projections of the World Travel Tourism Council, 16 million tourists will visit Bulgaria per year by 2017. Significant investments have been made for the purposes of developing the country’s infrastructure, supported by EU funds. Therefore Bulgarian citizenship by investment programs are of great interest in the MENA region as well. The country’s favorable geographical location provides perfect climatic conditions for year-around activities like skiing and snowboarding during the winters, sunbathing and scuba diving during the summers, and great possibilities for adventure tourism, spa and recreation, and cultural and congressional tourism. Foreign direct investments in Bulgaria. Bulgarian citizenship by investment. Continual economic development and strong market potential are among the decisive forces that enhance Bulgaria’s ability to attract respected international investors. In recent years, international credit rating agencies have increased Bulgaria’s credit rating so that it has now reached an investment grade credit level. The Bulgarian government has signed numerous international treaties for Encouraging and Mutual Protection of Investments with the Netherlands, Cyprus, France, Denmark, Israel, Sweden, United Kingdom, Greece, Romania, Portugal, Slovakia, and more. As per the InvestBulgaria Agency, Bulgaria is highly attractive to foreign investors because of its potential as an export location; the country has access to markets with some 800 million inhabitants in the EU, Russia, Turkey, the Middle East, and Central Asia. With the amendments, the Investor Program for Residence and Citizenship in Bulgaria has become very competitive with other European and international programs. · The language competence requirement for applicants who invest in government bonds is WAIVED. · The relinquishment of the current nationality requirement for applicants who invest in government bonds is WAIVED. 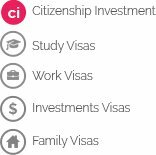 · A new fast track option that leads to Citizenship is introduced for applicants who invest in government bonds. · Hold second additional investment for a period of two years. Leading to prolonged residence. The minimum amount of €125,000 must be invested in risk capital. The foreign person must invest at least 50% of the capital in a Bulgarian company operating in one of the underdeveloped regions and must create minimum 5 jobs for Bulgarian citizens. The residence must be renewed every year. Leading to permanent residence. The minimum amount of €250,000 must be invested in risk capital. The foreign person must invest at least 50% of the capital in a Bulgarian company and create minimum 10 jobs for Bulgarian citizens. There is physical exemption. There is no requirement for language competence and relinquishment of the current nationality for the citizenship application in 5 years. It leads only to prolonged residence and requires minimum investment of €300,000. The residence must be renewed every year. These new options will enable us to enrich the portfolio of additional products and services provided to our partners and their clients. Bulgaria looks to open its doors to you so that you can improve your quality of life and freedom of international mobility while enjoying the extensive benefits the country has to offer.